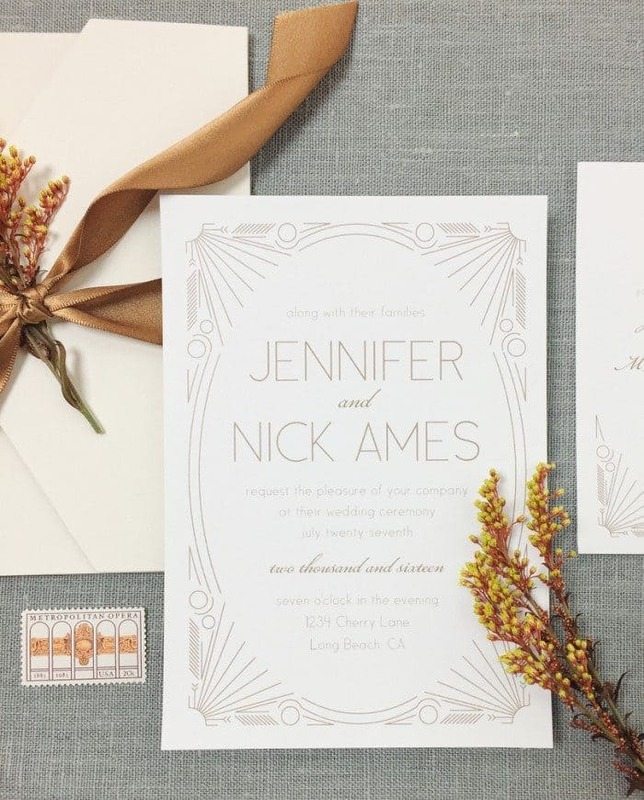 This post about custom wedding invitations is generously sponsored by Basic Invite. Wedding invitations are so important, since they are first detail your guests see that will set the tone and build anticipation for your event. 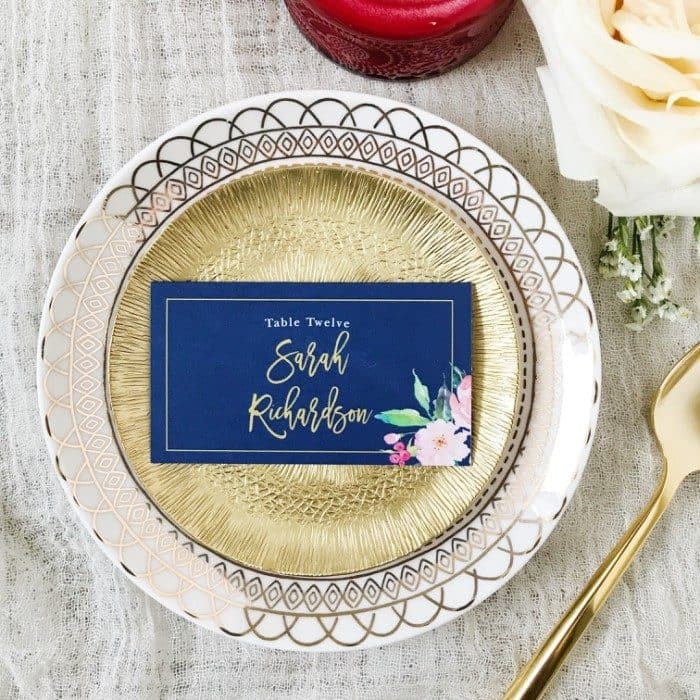 All the finer points of the invitation — the colors, wording, and design elements — not only tell your guests the essential information of the date and location, but also provide the most clues about your wedding style, dress code, and level of formality. With so many important details riding on this piece, it only makes sense that many couples want their wedding invitations to be highly customized. If you want this level of control over the design, (I know I did!) Basic Invite is an amazing resource for everything you need for your custom wedding invitations. They also have all the other pieces of wedding stationery you’ll need, like save-the-dates, enclosure cards, bridal shower invites, printed place cards, and thank you notes! Obsessed with the details? You’ll Want Custom Wedding Invitations! Wedding planning is full of overwhelming choices, but when you know exactly what you want, it can make it even tougher! 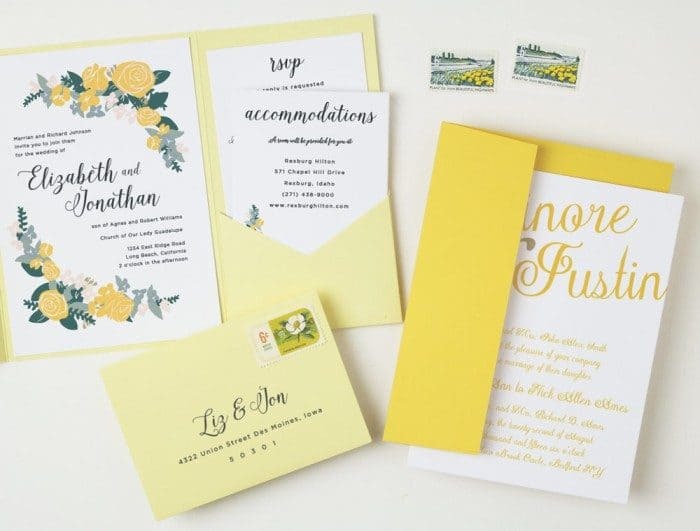 When I got married, I had a clear vision of what I wanted for invitations, but I couldn’t find an invitation set that had the right combination of the colors, design, and wording I was seeking, and custom options were prohibitively expensive! Well, thank goodness Basic Invite exists now! You can pick from 180 beautiful colors in each of the design elements. You can adjust wording and preview all these elements right online in their customizer. So, if you’re particular about the details like I was, you’ll love the control you’ll have! Basic Invite also offers envelopes in coordinating colors, and all of the top finishes like metallic foil, rose gold, and photo styles. I’m especially a huge fan of the clear wedding invitation style (it’s such a chic look!) and Basic Invite has a beautiful selection of them! Even after getting the perfect level of customization on your screen — if you’re like me — you’ll want to make sure the invite you’ve created online is exactly what you will see in person. Basic Invite offers custom samples so that you can feel the paper, see the colors, check the text, and make sure you love everything before you commit to printing your whole order. So, are you ready to start your own design? Check out their options and start customizing your own look! You’ll love experimenting with the variations you can create with all the colors! 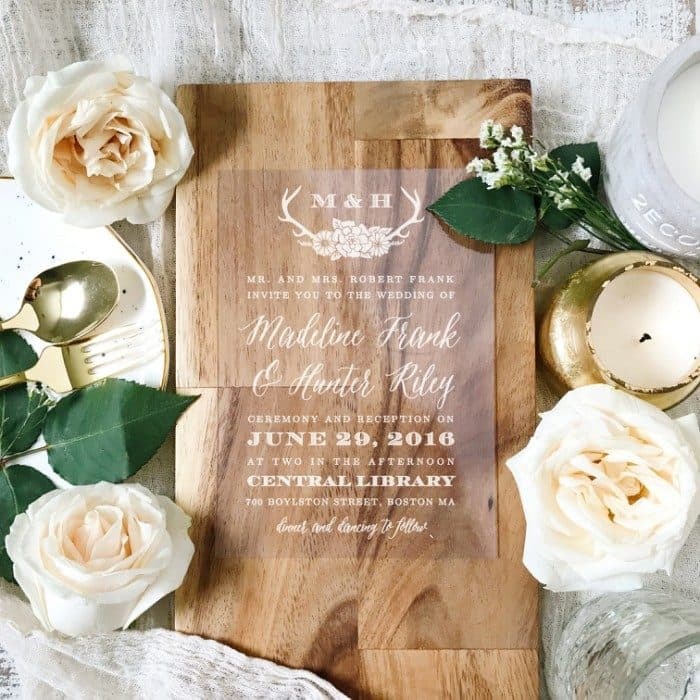 Most of all, you’ll see that Basic Invite is really as far as you can get from basic; they are an amazing resource for creative and custom wedding stationery!